Imarhan (“The Ones I Care About” in Tamasheq) is part of the second generation of desert blues artists. 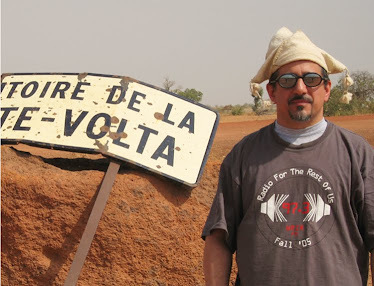 Based in Tamanrasset, Algeria, this six-piece band is led by Sadam, the cousin of Tinariwen’s Eyadou Ag Leche. 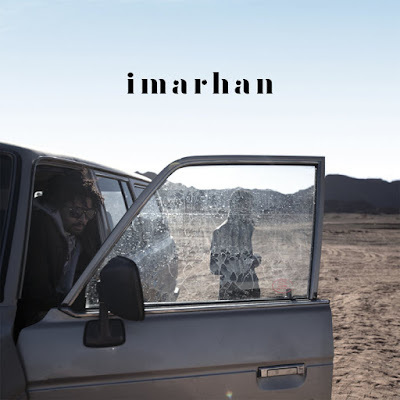 Like others of their cohort (Tamikrest, Bombino, Mdou Moctar), Imarhan’s music is indebted to assouf pioneers like Tinariwen and at the same time actively engages with the first world, explicitly borrowing from rock and funk. If assouf music is going to break out as a worldwide pop music phenomenon (which it ought to do), this is the kind of band that will make it happen. And their eponymous track 6 is the kind of song that will make it happen: slinky, propulsive and supremely tuneful, this is as good a rock song as I’ve heard in a long time. Tracks 2 and 5 are similar in style, and not far behind in effect. Imarhan, like many desert blues bands, is at its best on these energetic uptempo numbers. But the album covers their full stylistic range (“it is really like the business card of Imarhan,” Sadan says, sounding like a rock star in training) – among the slower numbers, 9 and the acoustic 8 are the stand-outs. Promising, compelling and worth your time.